* The rate for 1 Declaration is determined on an individual basis, depending on the type of cooperation (single application or long-term contract), additional services required, etc., as well as the peculiarities of the goods, the volume of cargo, item numbers, commodity assortment. Great work experience with the countries of near and far abroad, the EAEU and the EU, Asia and Africa,with the States of the CIS allows to carry both export and import operations in the optimal timing. inspection of goods in the presence of the state customs inspector and its release. Services for the organization of export operations (delivery, loading, reloading of customer goods; organization of transportation to the Customs Control zone; further transportation of goods for export), temporary import/export and transit, refusal in favor of the state and destruction, as well as other procedures. Long-term cooperation with the Novorossiysk Chamber of Commerce and Industry (NCCI) confirms the decency and focus of our company on further fruitful cooperation. The Department of Customs Declaration staffed by high-class specialists will determine the HS codes of the EAEU, will advise on carrying out customs payments. Specialists of the Department regularly undergo training, participate in conferences and forums, monitor innovations and changes in the Customs legislation of the Russian Federation and the Eurasian customs Union. We offer assistance in the preparation of foreign economic contracts and transaction passports taking into account the wishes of our customers. Many clients prefer to provide this part of work to professionals trusting long-term experience of the Novotrans Capital LLC. 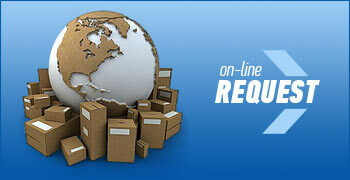 Documents required for customs clearance arrangement. The list of documents required for this procedure first of all depends on the direction of movement of goods (Import or Export), the chosen customs procedure, the purpose of its movement, the conditions of transportation, the method of payment between the participants, as well as the code of goods in accordance with the commodity nomenclature of foreign economic activity of the EEU. Permits of various government agencies (for instance, export or import licenses of goods (Ministry of industry and trade, Federal service for technical and export conrol), declarations of conformity, certificates of conformity, Certificate of State Registration, etc.) .